What Is A Giclée Print? 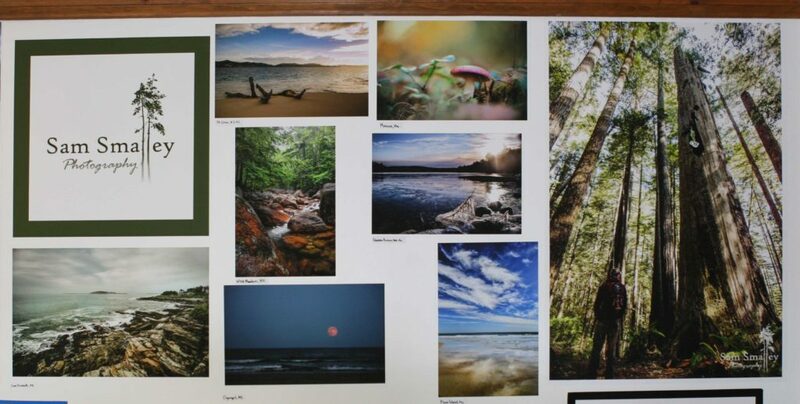 Sam Smalley Photography – All images printed on “Wall-A-Peel” adhesive backed Satin fabric. What makes this adhesive backed, printed fabric appealing is it’s amazing ability to stick to any smooth surface and be re-positioned many times without causing damage to walls or furniture. Goes on clean and comes off cleanly to stick again and again. Rotate your photographic quality prints to make any room look fresh and new. Wall-A-Peel does not rip, stretch or wrinkle, is safe for any wall and meets fire safety standards. Don’t let your office or building become a liability with heavy frames that can do damage…Wall-A-Peel max size is 44″inches by 100′ Ft.
$2.22 x $14 (sq ft price) = $31.11 for a 16″ x 20″ print! Please contact us for any questions and we will discount based on larger sizes. Providing authentic Giclée printing for the discerning artist, photographer, interior designer and YOU!